In probably one of the most shocking and horrific road rage incidents ever, a fuming driver ended up shooting off his own little finger. 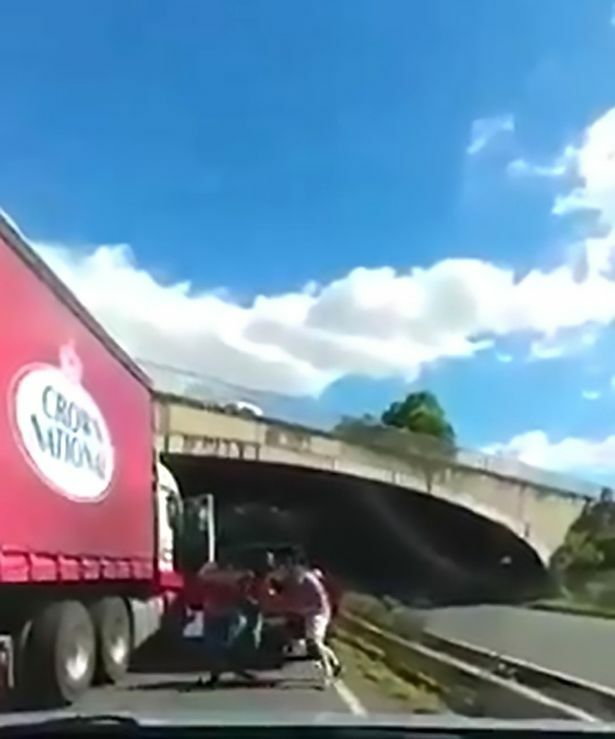 Footage of the row showed a lorry driver being dragged out of the vehicle by the driver of an orange pick-up truck, before the pair start brawling, The Mirror reports. The pick-up driver is then suddenly seen throwing a punch into the lorry driver’s face. The angry exchanges between the pair hits fever pitch as the driver of the pick-up truck goes back to his car and picks up a gun. He hits the lorry driver in the head before wrestling again and suddenly a gun shot is heard before the man with the gun collapses to the floor. Paramedics at the scene later said that the gunshot had caused ‘partial amputation’ to the driver’s pinkie finger. 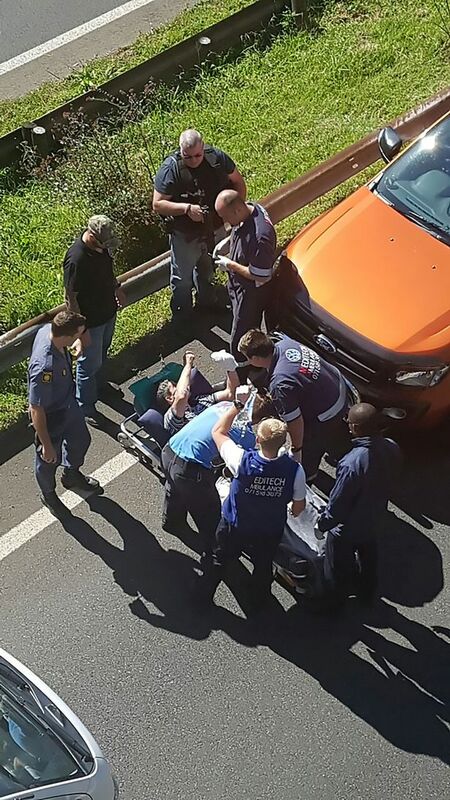 Apparently the drama unfolded after the pick-up truck was squeezed up against a crash barrier by a lorry near Durban, South Africa. Police say the pick-up driver could face attempted murder charges and that he is currently under investigation by the Hillcrest police. The other driver he fought with could also be charged with offences.